Before the 1980s there was no assistance service in France for motorists whose vehicles had broken down. Elsewhere, only powerful, organised automobile clubs, such as the ADAC in Germany, the RAC in the United Kingdom and the Touring Club in Switzerland, offered such a service. 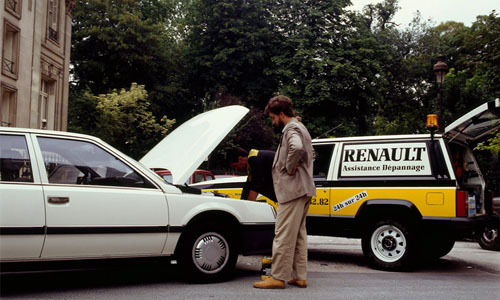 In 1984 Renault decided to move into the lead regarding service quality and launched Renault Assistance. 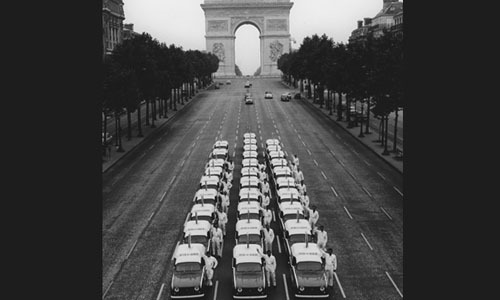 The company took its inspiration from two major examples which had proved their worth and made a strong impression on people: the success of Europ Assistance, set up in 1963 by Pierre Desnos, and in a complementary vein the success of JC Decaux, the street furniture and outdoor advertising company that had managed to impose rigorous standards and meticulous cleanliness on its teams. After a test at two Parisian branches (Courbevoie and Pantin), the Aftersales Department and French Sales Department negotiated an investment of 100 million francs with the Renault Dealer Organisation’s aftersales committee. The money was to be spent on enough breakdown equipment to cover the entire country. The departments also arranged for mechanics to be on call and for a broader range of parts (about 300 in all) to be carried by the breakdown vehicles so that most cars could be repaired at the roadside. There was clearly a need for the service, because in less than 18 months the target of 100,000 calls per year (x10) had been reached, with over 80% of mechanical problems fixed on the spot (over 90% in Paris). The system proved so effective that over 60% of mechanical problems with vehicles of other brands (which were also eligible for the service) could be repaired as well. The service soon became well known, especially as it was so easy to use. The free telephone number could be seen everywhere: for the first time, advertising about the service and the dealer network was done on a large scale. Customers were immediately put through to a call centre which sent them the nearest breakdown vehicle. Monthly meetings were held with the mechanics, enabling the company to hear about problems they would not otherwise have known existed. For example, Philippe Ventre, who was the company’s head of engineering at the time, learned that often drivers could not open their car door with the remote control when they were near a chemist’s… because of the infrared emissions of the shops’ neon signs. 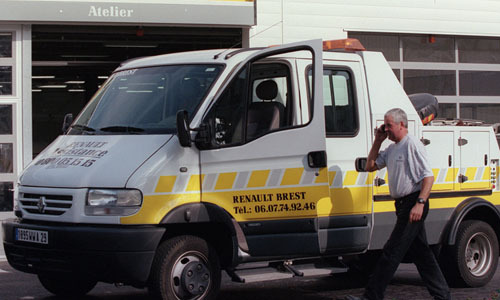 Today Renault Assistance comprises a fleet of 1,130 Renault Assistance breakdown vehicles, spread over 400 branches (the R1 network) and 730 dealer sites (the R2 network). In 2012 the breakdown mechanics responded to 65,000 calls, 65% of them from customers who had a contract or whose car was under warranty. They also made 180,000 interventions for other breakdown service companies, such as AXA, IMA, Europ Assistance and Mondial. 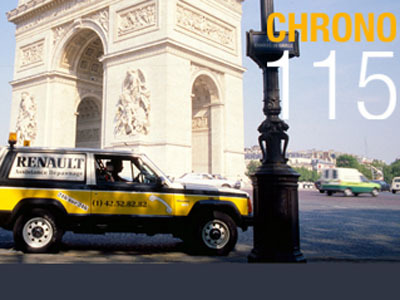 Renault Assistance uses the services of AXA Assistance for its call centre.